Who Occupied the first steps? As we follow the hemp thread in a tangle of other artificial strings, we at Hemp.com reported earlier this week that we are finding a different history than what is being told to people in some of the associations and industry groups. 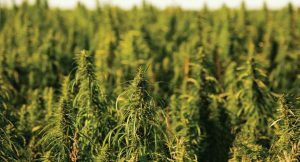 There are actually many other representations of ideas for hemp and Cannabis with better solutions for hemp to thrive in the American farmland. The first legislation that was actually successful to initiate a viable hemp farming opportunity for Colorado, for America, is HB12-1099 the Hemp Remediation Pilot Program, a Phytoremediation project. This legislation has no permission from the Federal Government, as it is not required, and it is of great concern that there is anything except complete removal of Cannabis from the DEA Scheduling at the Federal level. At the time, Representative Wes McKinley and Jason Lauve were the root of the first successful legislation for hemp in the United States of America. Any legislation that includes violations and definitions for hemp at the Federal level should be of grave concern to the American people, to the people of the world. Wes McKinkey was part of the Rocky Flats Grand Jury case and wanted to find a way to clean up the area contaminated with heavy metals from nuclear weapons manufacturing. He wrote “The Ambushed Grand Jury: How the Justice Department Covered Up Government Nuclear Crime : And How We Caught Them Red Handed,” about the public information surrounding the contaminated land. Those Interested In Growing Hemp Learn Grass Is Greener On The Other Side in Walsh, Colorado on September 10th of 2011 was attended by prominent members in the community, including Max Smith, Todd and Mary Randolph, long time residents and farmers, Kevin Hefley and Steve McCall, two of the larger farmers in the area, along with Representative Wes McKinley of Colorado. The talk covered the Plant to Product pipeline which Mr. Lauve developed. In October of 2011 the beginning of protesting for the rights of many things, Wes McKinley pitched his Cowboy TeePee next to Jason Lauve’s tent on the front lawn of the Colorado State Capitol. McKinley sat on his stool and Jason spoke with so much enthusiasm and knowledge about Hemp from the Cannabis plant and how to bring it back into our modern society. November 29th, 2011 Jason Lauve rolls into the Colorado Capitol to meet with Representative Wes Mckinley. As he entered the office of the politician, Wes says, “Okay, let’s create a hemp bill.” In the office with 2 attorneys and another politician, Mr. Lauve poured out his heart in 45 minutes to create the foundation of Industrial Hemp in Colorado, in the United States of America and other countries around the world. “All we are doing is growing a garden.” Wes has a way with words and is known as a Cowboy Poet in the Capitol. As they attended every hearing, committee and floor vote for the bill, they presented visuals, science and excellent testimony supporting the legislation proposal. The votes would come around and the bill passed unanimously every time, except for one vote on the Senate floor and the reason the politician voted against it, was that he believes that the language was too restrictive. He is right. The plant should be completely free from any and all limitations, restrictions and legislation. Jason Lauve was unable to attend the official signing of the bill. Interview with American Hemp Inc.